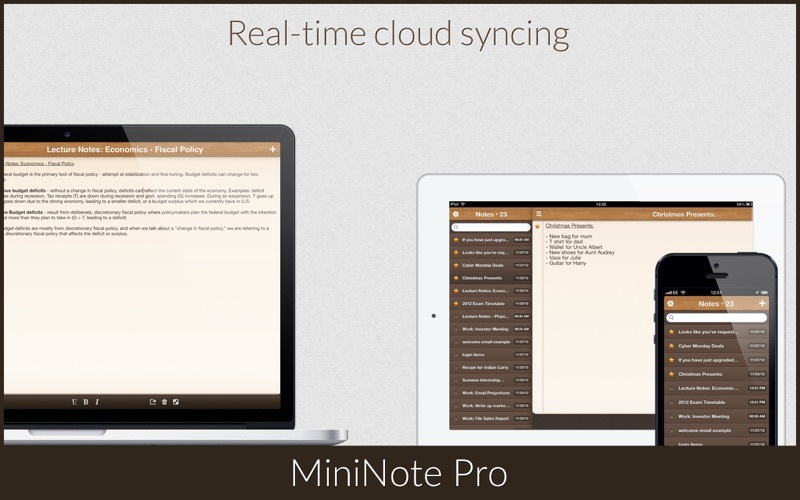 This is the pro version of the best cross platform note taking app with great extra features such as real-time cloud syncing, a detachable and resizable window, font styling, multiple themes and much more. 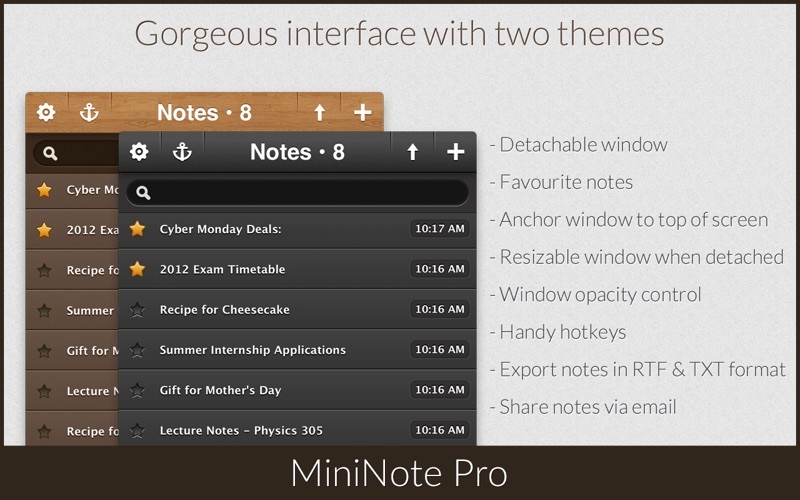 MiniNote Pro is quite simply the best notes app you will ever use. 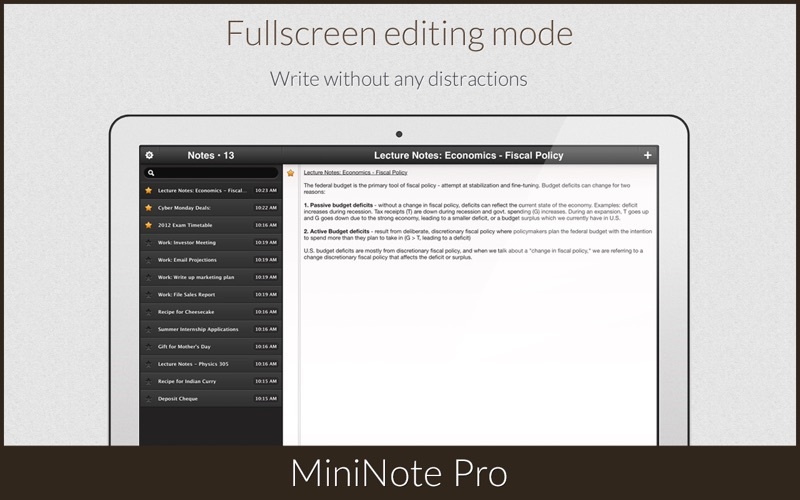 It has been engineered from the ground up to offer the fastest and most pleasurable note taking experience possible. Try it for a week and you'll be hooked for life. 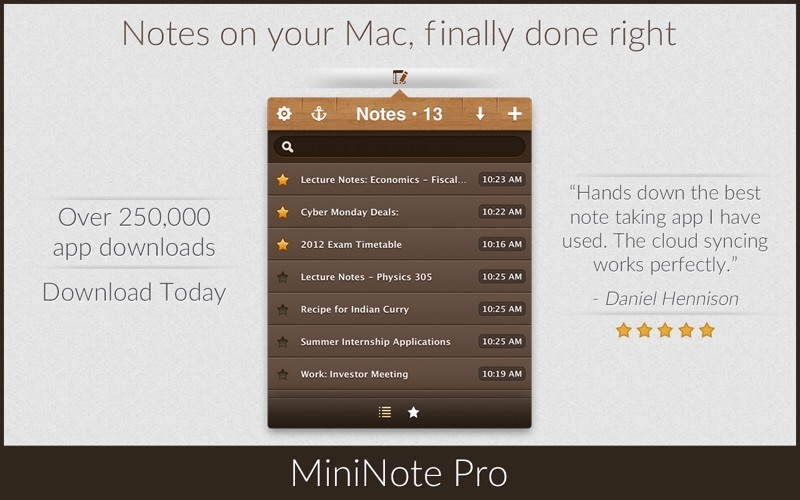 The app lives in your Mac's menubar and is always available at the click of a button. Use it to write down your thoughts and important pieces of information and be happy in the knowledge that your notes will be easily accessible when needed. 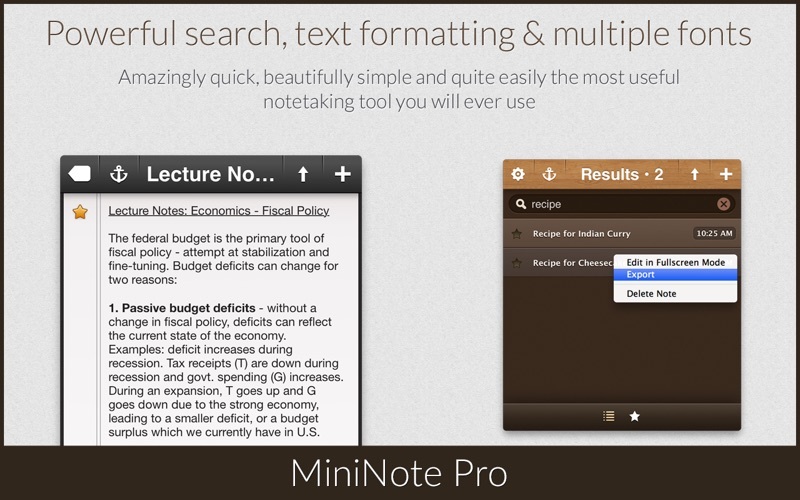 Want to create and read your notes on the move? No problem, our real-time syncing service means that your notes will be instantly available via our companion apps for the iPhone & iPad. ⁕ Create and view favourites using the Star button.